At 2:am even he/she looks cute! 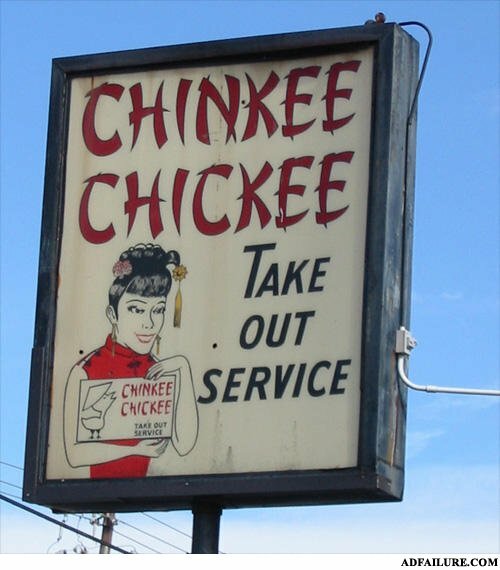 They'd probably get more business by changing it to "KINKEE CHINKEE". It'd get me anyway. fail. it's a rascist joke. Sorry the girls are tired of going on the corners when its cold! where transvestites bring you chicks in rice hats? I love a girl with a trimmed bush because it makes it easier to see into her window at night.